Are you searching for an experienced company that installs pergolas in Pace, Florida, or a surrounding city? If so, look no further than Majors Home Improvement. We are a local, family-owned business that was established in 1997 to provide quality home improvement products, which includes our pergolas, to area homeowners. We have worked tirelessly over the years to ensure that the customers we serve are completely satisfied with our products and services. To this end, we have earned an A+ rating with the Better Business Bureau – a rating we have maintained for many years. 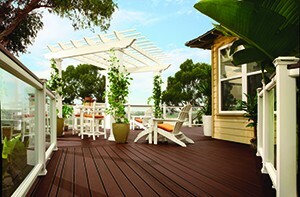 Perhaps best of all, our pergolas come backed by a warranty to ensure your investment is protected. We have full faith in the quality of our products and the work of our installers, which is why we are pleased to extend this guarantee to you. Contact Majors Home Improvement today to learn more about our pergolas. We’ll be pleased to answer your questions and schedule your complimentary consultation. When you need a pergola installation in Pace, FL – Let Majors Do It!